We have specialized hardware and software, including a unique hardware/software unit for data recovery from flash drives developed by our specialists, software suites for recovering damaged file systems and fragmented files, etc, data recovery techniques developed by the leading specialists in the area, combined with many years of practical expertise in data recovery. In our clean room, we can do the whole range of works with HDD mechanics. We have quite a large stock of controllers and hard drive assemblies as spare parts, and we can quickly change failed parts and easily recover data. 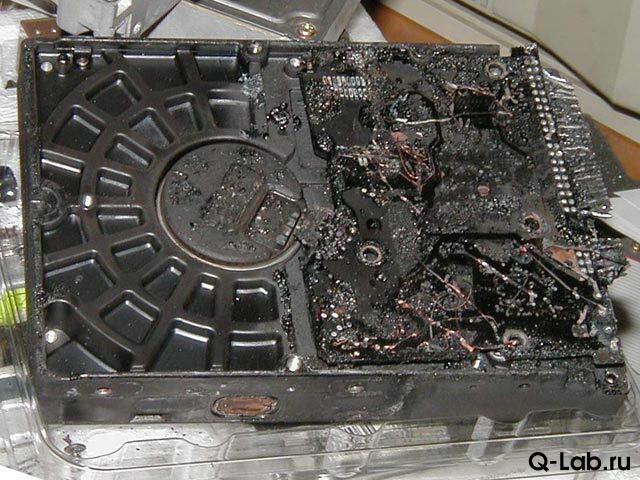 Success in data recovery greatly depends on device conditions. As we have observed many times, such success is highest when the device is immediately delivered to specialists, and the problems confine only to initial faults, which usually are not too many. You can find more information on drive diagnostics and fault warnings on this page. In any case the simplest and most reliable way to save your data and money is to rely on specialists. The initial diagnostics of a storage device is free in the SoftJoys Data Recovery Center. Payment for the data recovery is determined by its scope and complexity. Unprofessional attempts to recover data usually results in aggravating the problem and unnecessary extra damages to the data. The technical capabilities of the Data Recovery Center lab make it possible to correctly recover service data for almost all HDD models. 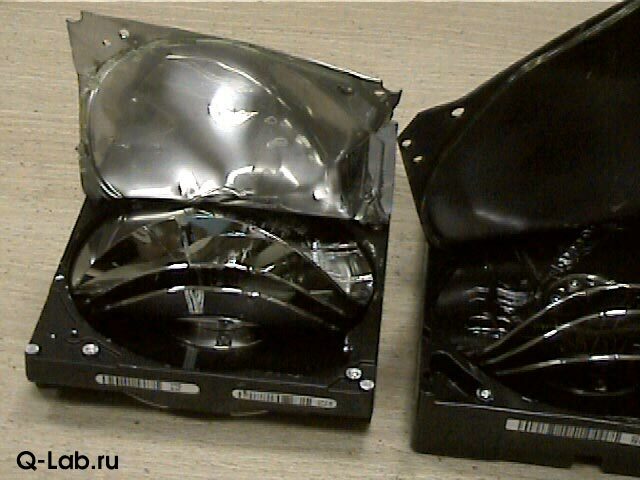 Such operation recovers only really damaged units, keeps all individual HDD settings intact, and recovers damaged units by the content of remaining ones. We can also change head carriages, change and center platters, repair mechanical faults in hard drive assemblies and HDD electronics. All works with hard drive assemblies are performed in a clean room which is an isolated hermetic room ventilated with filtered air to eliminate chances that dust will appear in the head-disk assembly. Thanks to that, chances are higher that data will be recovered successfully, if the head-disk assembly has to be opened. We collaborate with the developers of data recovery software and develop our own utilities for various non-trivial cases. This enables us to recover data from “logical” damages, from the simplest ones like lost partition tables to complex ones like applied programs of the Partition Magic class or scattered RAID arrays for various file systems like FAT, NTFS, ext2fs, Novell Netware, UFS, etc. We use our proprietary hardware/software unit to recover data from flash storage devices. This unit allows us to recover data directly from the flash memory chips bypassing the device's controller. To do that, the memory chips are dismantled, read out in the unit's reader, and the obtained image is transformed to useful data using specialized software. Fault diagnosis is free. Data recovery cost is determined by the diagnostic results depending on the work complexity and scope. The customer pays for the work only when it accepts the result: the recovered data. If it is impossible to recover the data the customer needs, no payment is required regardless of the work already done. Payment in advance is required only in one case: if it is necessary for data recovery attempts to use spare parts of a good device like a head carriage, spindle motor, etc., which are to be found and bought. In this case, an advance payment of the cost of the “donor” device is required, or the customer may provide such device itself. In all other cases our customer pays only for a positive result: for recovered data. The data recovered is stored on a working storage device, and, upon customer's whish, can be copied to its HDD, other storage device, or to CD-R/DVD-R.
We observe the confidentiality of the information we receive for recovery. No information comes out from our lab, we do not store and use it, and we give it to none except its owner. We can store data copy on our storage device for several days in case an incident occurs (a newly bought HDD fails, OS setup faults, etc). Then the customer would receive the second data copy. Then the storage device is wiped out by total re-writing. Upon customer's request, the data copy may be eliminated immediately when the work is over. We cannot recover things that are gone. Practically that means that we cannot recover data from disk sectors overwritten by other data, we cannot recover data from a disk de-magnetized by a strong magnetic field or heated above the Curie point. It is also impossible to recover data from a disk on which the magnet layer is completely destroyed. Data from disk sectors overwritten by other data could be recovered in some cases on floppy diskettes, but only when the initial data had been recorded on one floppy disk drive, and overwritten on another one with a head carriage displaced with respect to such carriage on the first floppy drive. There were small chances to recover such data on an HDD with a stepper as the head carriage actuator, if mechanical assemblies were strongly “moved” from the position on which the data had been recorded. For contemporary HDDs with modern head carriage actuators, the track cannot be displaced from its original position, therefore data are completely overwritten, and there is no residual magnetization at the track edges. Special data destroyers form a strong alternating magnet field that destroys both the user and service data on the disk. We have investigated disks undergone such processing, and we have concluded that the data were destroyed reliably. It is impossible to recover data from such disks. As well as to repair the disks. Quite often it is impossible to recover data from platters with large scratches, especially if the scratches are ring-shaped. The reason is that a ring-shaped scratch disrupts the aerodynamics of the air cushion supported head flying over disk surface at the distance of less than a micrometer. Upon such disruption, the head touches the disk surface, which means immediate head damage. At the speed of 5,400-7,200 rpm, when the head touches the surface, it heats up due to friction, and its magneto-resistive element made as a thin film gets destroyed. And all existing data recovery techniques require the data be read with a standard head carriage from a properly driven head-disk assembly. Currently there is no any practically implemented technologies enabling the user to read data directly from a disk platter by bypassing the entire HDD hardware and software. Recovery is impossible if a platter has a seriously damaged magnetic surface on which user's data resides. What is the success ratio for data recovery? The success ratio for data recovery varies over HDD models and failure types. In average, it is app. 90% over all orders for data recovery.